El Meco waterfall is 35 meters tall.this waterfall is difficult to access because the river is very hilly and there are no adequate signs. This always carries water, even when the hydroelectric plant has closed the passage of the liquid. Located in El Naranjo, San Luis Potosí, it can be reached from Ciudad Valles by a secondary road that goes to Cascadas de Micos, although the route is approximately 80 km, in time it takes more or less an hour, which is not tedious since they are admiring the plantations of cane, the sugar mill and tasting the odd snack in the area. 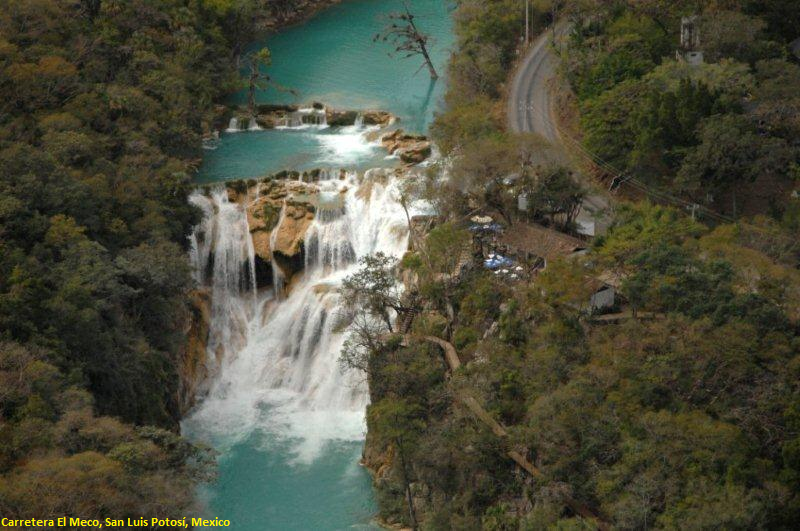 About 10 km before reaching the Naranjo is the diversion to waterfalls of old mines, a must for adventurers. Arriving at the place you have 2 options to stay in the magnificent hotel on the river bank, with all the amenities of a beach resort or just to make food and relax in the marvelous restaurant with an excellent view of the waterfall.